I would like to preface this blog with a trigger warning to those who have experienced loss. For those of you who don't know, I offer one complimentary rainbow newborn session to a family of loss in my studio in Jasper, IN. I started this program a few years back after I'd been accepted as a volunteer affiliate photographer for Now I Lay Me Down To Sleep. After seeing these families of loss and hearing their stories, I wanted so badly to help them celebrate a rainbow baby and I wanted to witness that happiness and connect with these families on a deeper level to gain understanding. Danielle and I connected when she contacted me to apply for my rainbow program. She's also a photographer, so it was fun to connect with her right from the start. I went to take the family and parent images. We knocked the parent images out and then moved onto the shot with Remington and Ella. I then offered to get a picture of Ella, Mom and Dad. Danielle asked for Dad's opinion and he stopped and said "If it's a family picture, it's of the whole family." That really touched me, and I'm sure that will stay with me for the rest of my life. To all families of loss - don't be afraid to talk about your child and acknowledge them. You are still a mother. You are still a father. And your child will always be loved. Remington was diagnosed in utero with Hypoplastic left heart and would require open heart surgeries. We were sent to Indianapolis where they confirmed the diagnosis and they let us know we would need to delivery there. My water broke when I was 31 weeks pregnant and I was life flighted from Newburgh to Indy. I was in the hospital until 33 weeks, 5 days when Remington decided to make his appearance. I got to hold him for a few minutes then they rushed him off. He was then taken to Riley children’s hospital which was down from where I was. We went a few hours later to see him. He was intubated and we could tell he was crying even though we never heard it. I didn’t get to hold him because he had IV’s in his umbilical cord. A few days later we got to hold him. It was amazing being able to hold our son! He eventually was taken down to surgery to get a picc line in so they wouldn’t have to poke him every time for blood work. He was taken off the ventilator for a few hours but had to go right back on because he would stop breathing. On July 14th 2017, they did his first open heart surgery to put in bands to help until he could get the big surgery since he was premature and small. Little did I know that was the last day I would be able to hold my son alive. During surgery, the nurse came out and took us to a room and they told us that he coded and was down for 45 minutes so they brought him back on an ECMO (Extracorporeal membrane oxygenation) machine. When we got to see him, it was very overwhelming because of all the tubes and he was still open from surgery. It was very hard for him to come of ECMO because his heart was just so weak. Remington got a brain bleed and they knew it was close to time to take him off. He was doing well for a few days so they decided to take him off when my husband and I went to the hospital. When we got in the room after he came off he got a fever and his oxygen level was dropping and they were giving all the meds they could. The doctor came in and said if we wanted to get him baptized, this was the time. So we got him baptized. The doctor came back in and said "His heart is getting ready to stop. Do you want us to do CPR?" and we said "Yes." His heart stopped. They started CPR. We left the room and they took us to a conference room. The surgeon came in and said they would have to put him back on ECMO, but he would suffer and never come off. We decided to not let our son suffer. We went in the room and held Remington as he passed. We never got to hear him cry, we never got to feed him, we never got to bring him home. This was the worst day of my life. No parents should have to leave the hospital without their child. I chose Melissa because I saw that she had done other rainbow sessions and so I knew she knew how to treat a loss mom. We had no concerns with Melissa. She did a great job with us. My favorite part was having Remington in the pictures with us and just talking to Melissa. 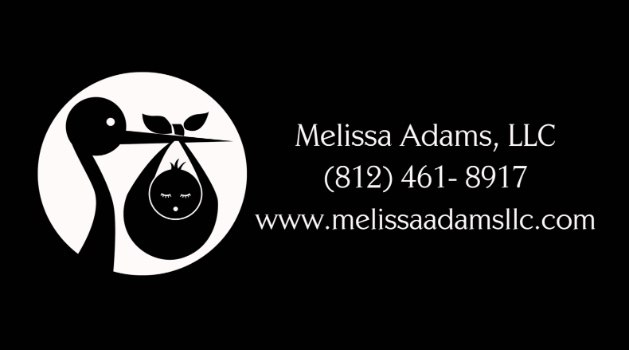 I would recommend Melissa because she is down to earth and very sweet! She did an amazing job. There might be days you just dont want to do anything or get up. There was never a day I didn’t want to get out of bed. I woke up everyday and got out of bed because I knew Remington would want that. And now I have my beautiful rainbow!